Of course, open shelving is beautiful in its own simplistic way, but is it practical? Yes and no. the open shelving in a kitchen should be done in moderation. Certainly, you don’t want everyone to see all your slightly cracked and mismatched dishes. Wherever you choose to put your open shelving, make sure it’s in an eye-catching spot and used primarily for showcasing your decorative china and colorful spices. When done right, open shelving can create a spacious, airy feeling in the room. Remember, that the amount of counter space in your kitchen is crucial especially if it’s an eat-in or used to cook in a lot. Unfortunately, many homeowners forget about this during their DIY projects and end up with limited counter space. To extend your counter space, get creative and use decorative shelving supports and detailed corbels so that you can place bar stools underneath for extra seating too. While the thought of pure white walls and stainless steel appliances may sound clean and refreshing, it’s easy to go overboard. Too much stainless steel isn’t just a pain to keep clean, but when paired with neutral walls and backsplashes, your kitchen will feel more like a hospital room than a place where delicious food is created. If you wish to keep your kitchen modern by using metallics and neutral tones, try to mix up the finishes and spring for detailed accents. All too often, the space you’re working within a kitchen is disregarded and renovations are then poorly completed. For example, you may put your refrigerator in a space that forces you to open the door towards an entryway which blocks anyone from entering the kitchen at the same time. Sometimes drawers run into one another when they’re awkwardly placed in tight corners too close to one another. Take careful measurements of your space when choosing cabinets, appliances, etc. It’s not uncommon for homeowners to forget about the budget set aside for their project. This could lead to unfinished or cheaply finished renovations, or overspending. Determine what features of the kitchen mean the most. Remember, that the cost for some of these features will heavily outweigh the cost of others. For instance, cabinetry is typically ⅓ of the expenses in a total kitchen remodel. Try to come up with a written budget plan for your renovation before you begin. Keep in mind as you write out your expenses that you may need to purchase or rent tools and supplies to help you efficiently complete your kitchen. It’s also possible that problems with plumbing and/or electric will arise, so leave some wiggle room in your budget just in case. One of the most needed features in a kitchen is an abundance of electrical outlets. Unfortunately, this feature is frequently overlooked and the lack of available electricity is the result. A kitchen is designed to store all the appliances and electrical devices used to prepare and make meals. Having access to outlets where you can plug these electric powered machines in when you need to use them is extremely important. The placement of the outlets is also essential to the functionality of your kitchen. As you plan out your kitchen renovations, make sure to consider the amount of storage and cabinetry you install. Storage is extremely helpful in a kitchen since there are an endless amount of utensils, appliances, small electronic devices, and various types of kitchenware that must get put away after use. Create a place to hide and store trash and recyclables as well as pantry items too. It’s nearly impossible to have too much storage space in a kitchen. In most cases, the purpose of planning out kitchen renovations is to upgrade. 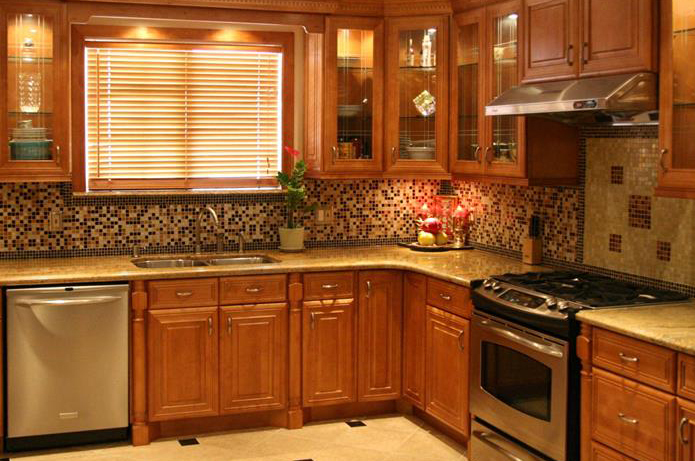 To fulfill all that you desire for your home’s kitchen, carefully plan out your remodel. Consider the entire family’s needs, what spaces and utensils are used the most, who cooks the most in the home, what frustrates you about your kitchen’s current state, etc. Lighting isn’t usually all that much of a concern since lamps and other forms of lighting fixtures exist. However in a kitchen, the lighting is crucial. Using hot appliances, sharp utensils and other dangerous tools in the kitchen would be even riskier without the right lighting. Not only should you have an ample amount of light in the space but you should have various types of lighting installed. With a simple bright overhead light installation, your kitchen will feel sterile. Add in accent, dimmers, pendant, track, and other types of lighting that will only serve to complement all the uses for your kitchen. Last but not least- don’t forget to illuminate those prepping areas! As with many DIY kitchen renovation projects, the appliances are chosen last. This is a mistake that tends to lead to major inconveniences. Whether that means unforeseen expenses, settling for appliances you don’t truly want just because they fit, or having to rearrange or reconstruct renovations you just completed. Choose your appliances first since it’s much easier to design and fit your counter, cabinets, flooring and backsplashes around them than it is to do so the other way around. Not providing enough ventilation in the area where you cook is one of the greatest mistakes you could make. Those shiny new oven hoods you see at your local home improvement store aren’t just for visual appeal. 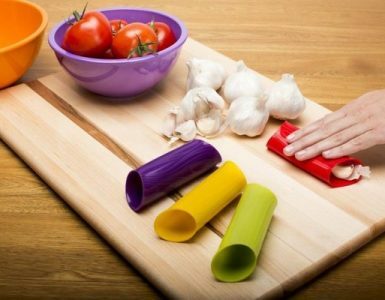 Believe it or not, they serve a huge purpose and that is to ventilate your kitchen properly. Without an oven hood and other forms of ventilation such as windows and fans, the smoke, heat and odor that arise as you cook would linger around your kitchen for days. Don’t play it too safe by forgetting to apply your own creative touches and personality to your revamped kitchen. You and the rest of your household are likely to spend a majority of your time in the kitchen so aside from functional, it should be comfortable, fun and stylish. Depending on the size of the room, you may want to consider adding an eating nook, a kitchen island, a bookshelf for recipes and books, or any other creative uses you can ponder up for the space. Add color to your kitchen whether it’s the paint on the walls, shown through artwork and decor, eye catching accent pieces, or linens. 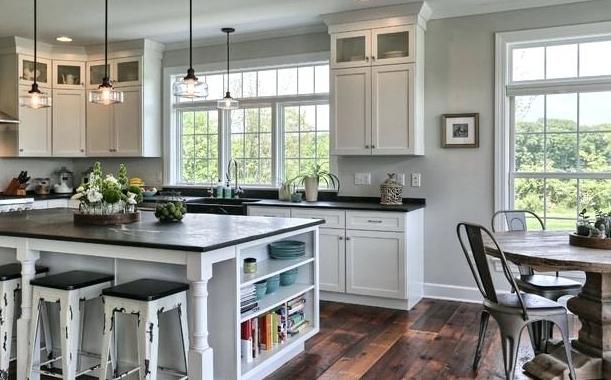 Pick stylish details too such as unique cabinet handles, modern light fixtures, cabinets with chalkboard painted doors, etc. If possible, let everyone in the home come up with a few of their own ideas to incorporate into the new kitchen. You just never know- they may enhance your future renovations with their very own personal touches and innovative ideas. Whether you hire someone to oversee the entire kitchen remodel or simply to tend to the plumbing or electric, don’t be afraid to seek professional help. Although the costs of hiring professionals to assist you in your kitchen renovations may be higher than you would like, you can rest assured that your kitchen is receiving the proper care. Plumbing and electrical issues may certainly be out of your realm of skill sets and if so, it is best to let the professionals handle these facets. Poor wiring and plumbing will only damage your kitchen and in the long run, you’ll have more repairs to make and expenses to pay. 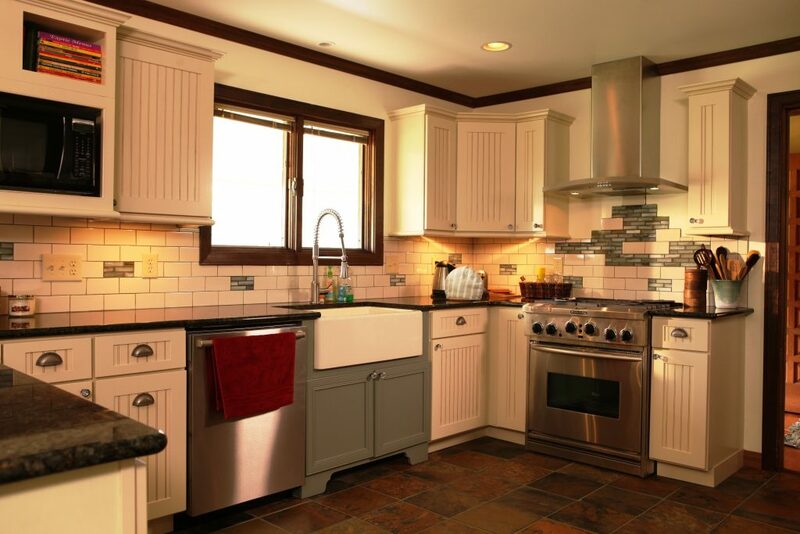 So, what have you learned about DIY kitchen remodels? After reading the above list, you’ve probably gathered that to avoid common kitchen renovation mistakes it’s important that you carefully plan out your kitchen remodel. If you choose to hire professionals for the project, make sure you go over the renovation plans with them. Otherwise, write out your own plan including each and every detail including the necessary materials, supplies, measurements, step by step procedures, color schemes, features and appliances, type of ventilation, etc. A well thought out renovation plan will only encourage gratifying and rewarding results.